Comment: The majority of works have already been consented under application 18/10359/LBC. Additional works, as detailed in Planning and Heritage Statement 17HS/PP(LM) clauses 1.5 and 1.6 are generally acceptable. The loss of the roof lantern over the main stair is regrettable and would normally be considered harmful to the listed building, however the design does propose an interesting solution that attempts to emulate the appearance of natural daylight through a false LED backed laylight. Whether this can successfully replicate levels of light currently received from the roof lantern is unclear and should be explored further. Continued operation and maintenance of the LED lighting should also be considered when granting Listed Building Consent. On balance, the requirement for additional plant to support the proposed use and preference to conceal the plant rather than relocate to a more prominent position is likely to outweigh the harm to the Listed building and the application should therefore be supported. Objection: The drawings and Heritage Statement accompanying the application lack the detail necessary for a Listed Building Consent. The application for an additional storey beneath the listed building would disturb the original hierarchy of spaces and should be resisted. 388-396 OXFORD STREET 18/10493/FULL/PP-07474703 Erection of a single storey roof extension to the Oxford Street elevation and a single storey roof extension to the Duke Street elevation, recladding of all the facades on Oxford Street, Duke Street and Bird Street, in connection with reconfigured retail floorspace (Class A1) over basement, ground and first floor levels, office floorspace at second to sixth floor levels. Increase in height of the existing plant rooms, creation of a terrace at fifth floor level (on Duke Street), installation of new plant and associated works. 22 PORTMAN SQUARE 18/10491/FULL/PP-07466318 Alterations and extensions to existing hotel at ground and first floor levels fronting Montagu Street, Upper Berkeley Street, and Gloucester Place, and extensions at rear first and second floor levels including a terrace at rear second floor level, installation of new mechanical services and relocation of existing plant equipment. 15-17 EDGWARE ROAD 18/09296/TELECOM Installation of telephone kiosk outside 15-17 Edgware Road. Objection: We are seriously concerned with the overall design, size, bulk and crude detail-design of these items. In their current proposed format they will have too much impact on the clutter of our public realm, and we believe they will not weather well over time, unless better detailing and higher quality materials are used. We also have concerns relating to how well they will be maintained. Moreover, other authorities in the country have identified problems created by these types of installation relating to drug-dealing, hoax 999 calls, street robbery, and other antisocial behavior. These installations are a further unwelcome advertising intrusion on public spaces and an assault on the senses, particularly in sensitive conservation areas. FLAT 125 2-4 MONTAGU MANSIONS 18/09664/FULL/PP-07404181 Amalgamation of flats Flat 125 and Flat 126 as single dwelling unit (Class C3). 103-105 CRAWFORD STREET 18/09810/FULL/PP-07382925 Erection of a rear extension at rear first floor level, relocation of the existing office accommodation (Class B1) at 1st floor level to the new extension and use of the existing 1st floor office area as 2 residential units (Class C3). Relocation of existing plant items to the new roof level at rear second floor level with associated screening and acoustic requirements. 36-40 HALLAM STREET 18/09755/FULL/PP-07426122 Erection of a single storey courtyard extension at first floor level onto an existing terrace. 129-137 MARYLEBONE ROAD 18/09637/FULL/PP-07392562 Partial demolition and redevelopment to provide a building ranging from ground plus 3 storeys to ground plus 9 storeys comprising office floorspace (Class B1), associated cycle parking, landscaping, internal servicing bay and other relevant works. 9 WEYMOUTH MEWS 18/09922/FULL/PP-07437787 Alterations to the front and rear elevations; extension of a link at first floor level; replacement of the roof to the rear with addition of solar panels and installation of an air conditioning unit on roof. 178-180 EDGWARE ROAD 18/10062/P3JPA Use of the first floor as 5no. residential units (Class C3) and add a new mezzanine floor between first and second floors. 31 NEW CAVENDISH STREET 18/10605/FULL/PP-07461863 Use of lower ground and ground floor as marketing suites (Class A2) for temporary period of 5 years. FLAT 1 4-6 MANDEVILLE PLACE 18/10336/FULL/PP-07465305 Erection of an extension at first floor within a lightwell to enlarge dwelling (Class C3). Objection: Several objections have been raised by neighbours regarding potential noise and overlooking from the proposed rear balcony. It is difficult to see from drawings what the relationship is between the terrace and 6 Spanish Place Mansions, and we would draw the council's attention to this when visiting site. However, the drawings show this terrace already exists and the applicant seeks to add planting to screen the terrace which would be an improvement over the existing. OPEN SPACE BRYANSTON SQUARE 18/08898/FULL/PP-07363573 Refurbishment of the existing garden shed, to provide toilets and kitchen facilities, and erection of a small storage shed to the west of the existing unit and installation of a cesspit. No Objection: Though we have heard the concerns of residents that the square remains private and not be subject to commercial use this is a matter for management of the square. We do not have any objection with regards to the proposed development itself. ROMNEY MEWS 18/08843/FULL Variation of conditions 1 and 17 of planning permission dated 01 August 2018 (RN 18/03593/FULL) for the Erection of three bedroom dwellinghouse (Class C3) over ground to fourth floor level; NAMELY, to enable the installation of metal balustrades and a sliding access rooflight at roof level to facilitate the use of the roof as a terrace. 11 DEVONSHIRE MEWS WEST 18/08497/FULL/PP-07270152 Demolition behind retained front and rear facades of the building to create a new 2 bedroom mews house (Class C3) with new basement level. PAYPHONE SITE OUTSIDE DERRYCOMBE HOUSE BRUNEL ESTATE GREAT WESTERN ROAD 18/08389/TELECOM Installation of one public call box on the pavement outside Derrycombe House. 55 BAKER STREET 18/08378/TELECOM Installation of one advertisement/ telephone structure on the pavement outside 55 Baker Street. 29 EDGWARE ROAD 18/09340/TELECOM Notification of prior approval as to the siting and appearance of the development of ‘A Public Call Box’ on public highway outside Nos 29-21 Edgware Road (incorporating non illuminated display panel and photovoltaic canopy) under Schedule 2, Part 16 A.3(1) of The Town and Country Planning (General Permitted Development) (England) Order 2015 (As Amended). WESTCOURT HOUSE 191 OLD MARYLEBONE ROAD 18/09367/TELECOM Notification of prior approval as to the siting and appearance of the development of ‘A Public Call Box’ on public highway outside No 191 Old Marylebone Road (incorporating non illuminated display panel and photovoltaic canopy) under Schedule 2, Part 16 A.3(1) of The Town and Country Planning (General Permitted Development) (England) Order 2015 (As Amended). PAYPHONE SITE AT JUNCTION OF WELBECK STREET AND WIGMORE STREET 18/09341/TELECOM Installation of on advertisement/ telephone structure on the pavement outside 43 Wigmore Street. MARBLE ARCH HOUSE 66 SEYMOUR STREET 18/09362/TELECOM Installation of on advertisement/ telephone structure on the pavement outside 66 Seymour Street. 268-272 EDGWARE ROAD 18/09342/TELECOM Notification of prior approval as to the siting and appearance of the development of ‘A Public Call Box’ on public highway outside Nos 268-272 EdgwareRoad (incorporating non illuminated display panel and photovoltaic canopy) under Schedule 2, Part 16 A.3(1) of The Town and Country Planning (General Permitted Development) (England) Order 2015 (As Amended). 334-348 OXFORD STREET 18/09348/TELECOM Installation of on advertisement/ telephone structure on the pavement outside 334-348 Oxford Street. 266 OXFORD STREET 18/09337/TELECOM Installation of on advertisement/ telephone structure on the pavement outside 266 Oxford Street. 392-396 OXFORD STREET 18/09345/TELECOM Installation of on advertisement/ telephone structure on the pavement outside 396 Oxford Street. 350-352 OXFORD STREET 18/09347/TELECOM Installation of on advertisement/ telephone structure on the pavement outside 350 Oxford Street. PAYPHONE SITE OUTSIDE 259-269 MARYLEBONE ROAD 18/09336/TELECOM Notification of prior approval as to the siting and appearance of the development of ‘A Public Call Box’ (incorporating non illuminated display panel and photovoltaic canopy) under Schedule 2, Part 16 A.3(1) of The Town and Country Planning (General Permitted Development) (England) Order 2015 (As Amended). TELEPHONE KIOSK OUTSIDE PENN HOUSE MALLORY STREET 18/08392/TELECOM Installation of one public call box on the pavement adjacent to Penn House . HERON HOUSE 19 MARYLEBONE ROAD 18/09287/TELECOM Notification of prior approval as to the siting and appearance of the development of ‘A Public Call Box’ (incorporating non illuminated display panel and photovoltaic canopy) under Schedule 2, Part 16 A.3(1) of The Town and Country Planning (General Permitted Development) (England) Order 2015 (As Amended). 11 BAKER STREET 18/08780/TELECOM Installation of one public call box on the pavement adjacent to 11 Baker Street. 248 OXFORD STREET 18/09169/FULL Installation of a public drinking water fountain on pavement in front of 248 Oxford Street. (Linked to 18/07919/ADV). 46 DEVONSHIRE CLOSE 18/07507/FULL/PP-07224285 Alterations at roof level to create a full mansard roof, installation of new doorway on east elevation, installation of glazed window in place of existing (left hand side) garage door on south elevation, replacement of existing (right hand side) garage door with new timber garage door and replacement of all windows with double glazed windows. Internal re-configuration to provide 1x 1 bed flat and 1 x car parking garage at ground floor (for use with residential unit above) and 1x 3 bed flat at first and second floors. 18-22 WIGMORE STREET 18/08001/FULL/PP-07290595 Variation of Condition 1 of planning permission dated 09 January 2018 (RN: 17/09798/FULL) for, 'Erection of an extension at the rear of the property at first to fourth floor levels to provide additional residential floor space for the existing flats, including the installation of a new lift. Alterations at basement and ground floor level including the infilling of a rear lightwell at basement level to create additional office (Class B1) floorspace and installation of plant at rear ground floor level'; NAMELY, for the erection of single storey extension at the rear fourth floor level of 22 Wigmore Street for residential use. TENBY MANSIONS FLAT 3 NOTTINGHAM STREET 18/05675/FULL/PP-06968128 Enclosure of side exterior terrace and alteration to rear courtyard window by installing balconette with double doors. 13 WIGMORE PLACE 18/05863/FULL/PP-07124372 Demolition behind retained facade of existing mews house to create a new four bedroom mews house (Class C3) with a new garden terrace at rear ground floor level and new mansard roof extension to the building. Objection: Overlooking and noise is likely to be an issue from both the mews and main house first floor balconies. Although the applicant addresses this with the proposal for a planted screen to the larger terrace this will be difficult to enforce and will have little effect on noise transfer to adjoining properties. The domed lead covered roof, though not original, is an attractive Victorian feature that represents a significant phase in the property’s development and its loss is regrettable. Comment: It is unclear what masonry bond is proposed for the rear extensions. The drawings show stretcher bond whilst the annotation is London stock brick Flemish bond single leaf cavity wall. It would be preferable for the masonry bond to match the original. Other internal alterations appear to reinstate historic proportions and are supported. SEYMOUR MEWS HOUSE 26-37 SEYMOUR MEWS 18/06022/FULL Variation of Condition 1 of planning permission dated 30 January 2018 (RN 17/08835/FULL) for, Variation of Condition 1 of planning permission dated 04 October 2017 (RN 17/06854/FULL) for, 'Erection of a single storey extension at fifth floor level (with lift over-run above) and infill extension at ground floor; installation of 13 no. condenser units at rear first floor level; terraces at fourth and fifth floors, alterations to existing facade and alterations to the office entrance, all in connection with the existing use of the building as offices (Class B1); namely, to make the following alterations to the approved development - to increase the height of the approved fifth floor extension to increase its height by 300mm; NAMELY, New stair in core B extended from 4th floor to 5th floor. New brick enclosure constructed around stair, the outline of which will match that of the 4th floor. New cladding materials to match the existing facade. 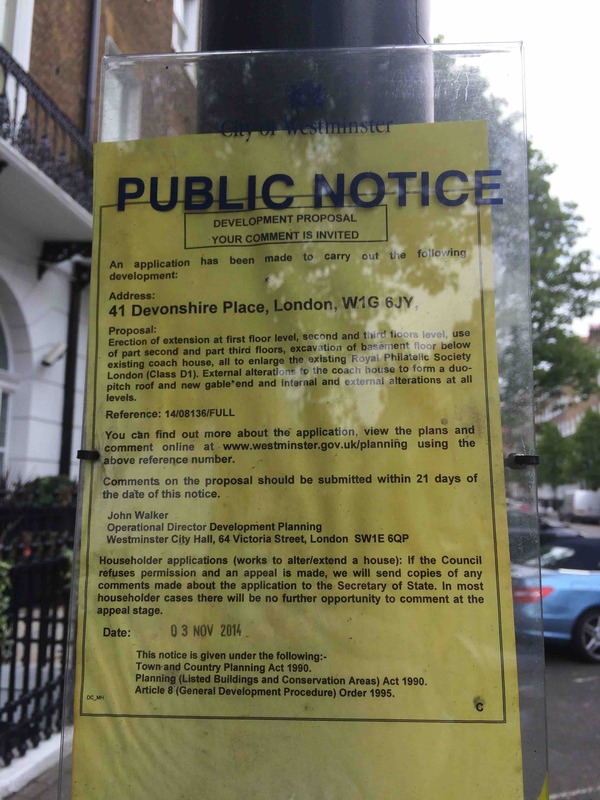 DEVELOPMENT SITE AT 12-14 ST VINCNT STREET, 4 BLANDFORD STREET AND 11-117 MARYLEBONE HIGH STREET 18/05897/FULL/PP-07121392 Variation of Conditions 1 and 13 of planning permission dated 13 September 2016 (RN: 16/03666/FULL) for, 'Erection of a single storey mansard roof extension above No's 2 and 4 Blandford Street and the corner building of 111 Marylebone High Street, second floor infill extension on St Vincent Street and the rear extensions at second and third floor levels projecting into the internal courtyard. Installation of balconies on the rear elevations, alterations to fenestration and creation of a shared external amenity space within the courtyard area at first floor level and installation of new plan and associated works, all in conjunction with works to combine and to combine two residential blocks to enable the reconfiguration of 24 existing units and to provide an additional 7 residential units (site includes 111-117 Marylebone High Street, 14 St Vincent Street and 2-8 Blandford Street)'; NAMELY, to make the following amendments to the approved development: (i) Changes to mix of residential unit sizes; (ii) Alterations to the roof associated to air conditioning; (iii) Reconfiguration of rooflight; (iv) Extensions to the rear; (v) Amendments to refuse and cycle parking; (vi) Alterations to the floor layout plans; and (vii) Associated works. 66 BAKER STREET 18/05854/FULL/PP-07102492 Replacement and alterations of shopfront at 66 Baker Street and 45 Dorset Street. Installation of artificial 'green wall' at ground floor level. Creation of serving hatch on Dorset Street frontage. 95-97 BAKER STREET 18/06485/TELECOM/PP-07164995 Removal of existing BT payphone and erection of a freestanding (InLink) structure with two LED advertising panels and associated telecommunications equipment. Linked to 18/06484/ADV. PAYPHONE SITE AT JUNCTION OF SEYMOUR PLACE AND 153-173 MARYLEBONE ROAD 18/06492/TELECOM/PP-07165057 Removal of existing BT payphone kiosks and erection of a freestanding (InLink) structure with two LED advertising panels and associated telecommunications equipment. Linked to 18/06493/ADV. PAYPHONE SITE OUTSIDE 259-269 OLD MARYLEBONE ROAD 18/06496/TELECOM/PP-07167850 Removal of existing BT payphone kiosks and erection of a freestanding (InLink) structure with two LED advertising panels and associated telecommunications equipment. Linked to 18/06497/ADV. PAYPHONE SITE OUTSIDE 124 BAKER STREET 18/06516/TELECOM/PP-07164959 Removal of existing BT payphone and erection of a freestanding (InLink) structure with two LED advertising panels and associated telecommunications equipment. Linked to 18/06517/ADV. PAVEMENT OUTSIDE 55 BAKER STREET 18/06486/TELECOM/PP-07165010 Removal of existing BT payphone and erection of a freestanding (InLink) structure with two LED advertising panels and associated telecommunications equipment. Linked to 18/06488/ADV. OUTSIDE 39 MARYLEBONE ROAD 18/06515/TELECOM/PP-07164951 Removal of 2 existing BT payphone kiosks and erection of a freestanding (InLink) structure with two LED advertising panels and associated telecommunications equipment. Linked to 18/06514/ADV. OUTSIDE REGENTS PARK STATION MARYLEBONE ROAD 18/06508/TELECOM/PP-07156128 Removal existing BT payphone kiosks and erection of a freestanding (InLink) structure with two LED advertising panels and associated telecommunications equipment. Linked to 18/06509/ADV. 15 MARYLEBONE ROAD 18/06511/TELECOM/PP-07164931 Removal existing BT payphone kiosks and erection of a freestanding (InLink) structure with two LED advertising panels and associated telecommunications equipment. Linked to 18/06510/ADV. PAYPHONE SITE AT JUNCTION OF NOTTINGHAM PLACE AND 25-27 MARYLEBONE ROAD 18/06512/TELECOM/PP-07164938 Removal 2 existing BT payphone kiosks and erection of a freestanding (InLink) structure with two LED advertising panels and associated telecommunications equipment. Linked to 18/06513/ADV. 95-97 BAKER STREET 18/06484/ADV/PP-07164986 Display of two internally illuminated digital LED screens, one of each side of a freestanding structure (InLink measuring 889mm x 280mm x 2900mm advertising panels and associated telecommunications equipment. Linked to 18/06485/TELECOM. PAYPHONE SITE OUTSIDE 124 BAKER STREET 18/06517/ADV/PP-07164966 Display of two internally illuminated digital LED screens, one of each side of a freestanding structure (InLink measuring 889mm x 280mm x 2900mm advertising panels and associated telecommunications equipment. Linked to 18/06516/TELECOM. 76-78 PORTLAND PLACE 18/05396/FULL/PP-7083830 Variation of condition 1 and 8 of planning permission dated 14 May 2014 (RN: 14/02206/FULL) for the Alterations to the front and rear elevations, including installation of replacement windows to the front elevation and from first to sixth floor on the rear elevation, new entrance doors, rooflights to the main building at rear first floor level, a glazed link between the main building and the mews at the rear and alterations to the facade of the mews, all for continued use for institutional purposes. NAMELY, to allow alteration and reinstatement of the roof garden. 55 NEW CAVENDISH STREET 18/05398/FULL/PP-07063919 Use of the building as medical use (Class D1) for a temporary period of 30 years. 91-93 BAKER STREET 18/05488/FULL/PP-07088302 Creation of new fifth floor terrace including access from the fifth floor office accommodation and modification to height of existing guarding. 5-7 MANDEVILLE PLACE 18/05076/FULL/PP-07052127 Alterations to the ground floor entrance on Mandeville Place to provide DDA access, creation of a new entrance to 5 Mandeville Place, alterations to the basement fenestration on Mandeville Place, alterations to the rear entrance on Dukes Mews, replacement of rear terrace railings, installation of roof level metal balustrade and alterations to front roof pitch to extend the size of the existing roof terrace. Use of lower ground and ground floor as dual/alternative B1 office and/or D1 clinic/health centre. 5 CAVENDISH PLACE 18/05782/FULL/PP-07065323 Use of basement and ground floor for fitness studio and retail purposes (sui generis) for a temporary period of 15 years. 30-34 JAMES STREET 18/05469/FULL/PP-07089001 Replacement kitchen extract riser on rear elevation and air conditioning plant on rear lower flat roof. PROPOSED DEVELOPMENT At 1-4 MARBLE ARCH AND 1-1A GREAT CUMBERLAND Variation of condition 1 and 21 of planning permission dated 12 October 2017 (RN: 17/02923/FULL) for the Demolition and redevelopment behind retained facade to provide a building of two basements, ground, part mezzanine and eight upper storeys accommodating retail (Class A1), office (Class B1) and flexible retail / office (Class A1 / B1) floorspace, alterations to retained facades including replacement windows to the east and south facades, alterations to facing material at rear elevations, clarification of facade reconstruction at parts of ground, first, sixth and seventh floors, alterations to office entrance, reduction of lightwell size on Great Cumberland Place, and reduction of doorway recesses at building entrances. M BLOCK OSSINGTON BUILDINGS 18/03822/FULL/PP-06943923 Erection of a roof extension at fourth floor level to create additional bedroom to existing flat. SELFRIDGES 400 OXFORD STREET 18/03494/FULL/PP-06814755 Use of part fifth floor and front terrace as a restaurant (Use Class A3) and retention of existing canopy, decking and retractable awning on the western rooftop for a period of 5 years. 334-348 OXFORD STREET 18/003718/FULL/PP-06919615 Use of part of the ground floor (on the corner of Henrietta Place and Vere Street) as restaurant (Class A3) with associated external alterations to form new entrance. Comment: The applicant states that Edwardian and other non-original additions do not contribute to the Architectural or historical significance of the property. Whilst this is not always the view of the Council it appears that in this instance the benefits of reinstating original layouts and the improved appearance of the proposed rear extensions would mitigate the harm to the heritage asset and on balance should be supported. The addition of a new storey to number 10 has the potential to create an imbalance in the hierarchy of spaces, as does the removal of ceilings at 4th floor. The additional storey to the mews house alters the scale of the original dwelling and is usually resisted by Westminster. The loss of 4 residential units is regrettable in the context of Westminster’s housing shortage though it is noted that the return to a single family dwelling is in keeping with policy. We would recommend that maintenance of the planting between 10/11 Wimpole Street is secured by condition to avoid overlooking. Insufficient Information: Generally the drawings are unclear and lacking consistency with multiple coloured lines on the proposed plans making it difficult to read the proposals. In particular, the extent of the demolition of the rear ‘conservatory’ is not clearly shown on plans 06. 977. 03 & 06. 977. 04. The new proposed ‘conservatory’ lacks the elegance in detail of the original house and it is difficult to see how it would preserve or enhance the character and appearance of the conservation area. There are also elements of the design that require further detail and explanation. For instance, the rear terrace shows a structural glass roof, but it is unclear whether this would be designed as a walk-on roof light. The drawings show minimal supporting structure but there is no other guarding at first floor to prevent occupants falling through the glass. Any access to this area should be considered in relation to overlooking of the adjoining property at 49 Manchester Street. 7 BULSTRODE PLACE 18/01713/FULL/PP-06758401 Demolition of the existing building and creation of a new basement plus four-storey building to comprise a single residential unit (Class C3) with integral garage. Comment: Whilst it is clear that the existing building at 7 Bulstrode Place is part of a group with nos. 5 & 6 that serves to reinforce the pattern of development of the street we agree that, in isolation, the quality and importance of the building as a heritage asset is of limited value. In terms of massing the proposals present a pleasing step up in scale between 5-6 and 8-11 Bulstrode Place. However, the fenestration has been designed to reflect the larger proportions of the warehouse type buildings at 8-11 Bulstrode Place and appears out of proportion with the scale of the new building. It may be more appropriate to reduce the width of openings and parapet height to mediate between those of 5-6 and 8-9. 6 HALLAM STREET 18/00264/FULL/PP-06641973 Use of property as two flats (one 1-bed and one 2-bed). Alterations to the front elevation in the form of replacement garage and entrance doors, installation of timber cladding, installation of replacement windows. Insufficient Information: Holding Objection. There is a lack of information provided within the application to ensure that the Association’s policies are being met. We ask that officers consider the residential offer being sought in this application in view of the Strategic Policies. 54 NEW CAVENDISH STREET 18/01511/FULL/PP-06728677 Temporary use of the basement to third floors for medical purposes (Class D1) for a period of 15 years. NORTHUMBERLAND HOUSE 155-157 GREAT PORTLAND STREET 18/01472/FULL/PP-06677549 Dual/alternative use of ground and basement floors of 155-157 Great Portland Street for either a showroom and ancillary offices (sui generis) or a mixed retail and beauty centre (sui generis). Insufficient Information: The application information is lacking in clarity. Existing drawings are provided but without an indication of the extent of demolition – making it very difficult to determine the extent of proposed development in relation to the existing. 8-10 MOXON STREET 17/09132/FULL/PP-06449140 Use from (Class A1) butchers/delicatessen to a mixture of butchers shop with butchery classes (sui generis use) during the hours of 19:00 to 23:00 (Mondays to Saturdays) and 16:00 to 20:00 on Sundays. D BLOCK OSSINGTON BUILDINGS 18/01342/FULL/PP-06726657 Erection of rear ground floor extension to two ground floor flats including formation of new ground floor terrace and green roof. No Objection: Alterations to reinstate the original plan form of the building are welcomed as are replacement of the casement window to the front elevation. BASEMENT AND GROUND FLOOR 32-34 NEW CAVENDISH STREET 18/01665/FULL/PP-06779420 Erection of two storey rear extension at lower ground and ground floor level in order to provide additional retail (Class A1) floorspace.